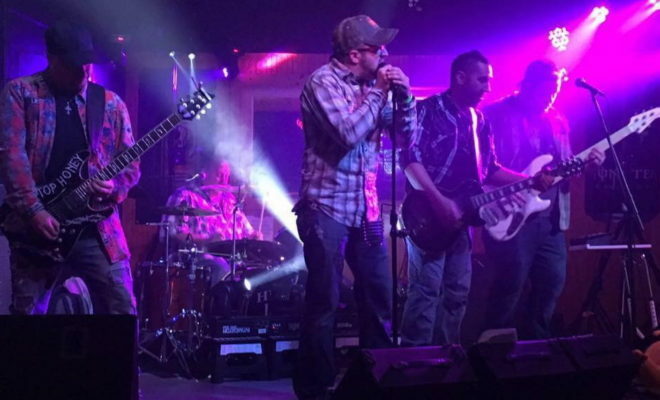 Members: Albert Coccitto III – Lead Singer; Tim Stilson – Drummer/Vocals; James Fultz – Bass Guitar/Vocals; Shawn Hurst – Rhythm Guitar and Mike Billings – Lead Guitar. About the band: The members of Hill Top Honey started the band under a pretty precarious situation. Lead singer Coccitto III, had never sung with a band, but he contacted Hurst and mentioned forming a new country group. Their only problem was finding musicians to join them. Not an easy task. Hurst, who previously had played drums in a band, talked to Stilson who was fronting a band at the time and he suggested that they switch instruments. Hurst moved to drums and Stilson to guitar. They decided to give the crazy idea a go with a singer, drummer and a guitar player and only needed a lead guitarist and bass player. After searching for a few weeks and coming up empty, Hurst gave a call to then singer Fultz, who was in a rock band. He thought their crazy idea was a good one and switched to bass. To finish out the group, they got Aaron McCracken for lead guitar, another position that he was new to, as well. At this point, many thought they were crazy and that playing country music was, too. After a few months of rehearsals, they knew that they had made the right decision. Not only was the chemistry of the band starting to work, but they were having so much fun getting together. After about 10 months more of practice, they were out performing in clubs around their Andover, Ohio base. Not bad for a group of guys who had never played their new instruments until this project began. In the summer of 2015, McCracken left the band to pursue his other passion as a law enforcement officer. That’s when HTH added lead guitar player Billings, who is still currently with the band. Since then, Hill Top Honey has been playing out all over Northeast Ohio, including performances at Jewels Dance Hall, Thunder on the Strip and the Ashtabula County Fair. They will be performing at the Geneva Eagles Club as part of the Grape Jamboree for three shows on September 22-24. 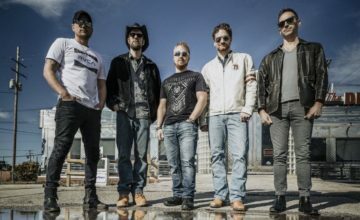 Why you should see their show: Hill Top Honey describes themselves as “not your typical country band.” They like to take their music, inject some high-energy enthusiasm and give a big show feel wherever they play. Their front man has been known to kick it up a notch during their show, even taking his performance to a bar top or two. 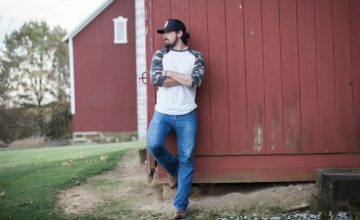 The band plays songs by modern country artists like Jason Aldean, Thomas Rhett, Brooks & Dunn, Luke Bryan, Sam Hunt and many others. Their mission is for them to ensure everyone has a good time when they come out to see them live, all while they get to do what they love. Websites/Socials/Videos: You can follow Hill Top Honey and get show updates, as well as watch videos of the band on their Facebook page. If you would like to send them a message you can contact them at HTHCountry@yahoo.com. Upcoming Dates: Friday – Sunday, September 22-24 at Geneva Eagles for the Grape Jamboree.